We are very pleased to have released our guide to the encounter against the Sha of Fear, in the Terrace of Endless Spring. This is the final encounter of the instance, and it could also be considered the final encounter of the whole raiding tier. On a personal note, we are somewhat disappointed with the fight, and feel that it is not exactly a "grand finale" to the raiding tier. Perhaps the Heroic version will be more entertaining! That said, this wraps up our coverage of Normal mode raids for Tier 14. We will continue maintaining and updating these guides as we always have, of course. 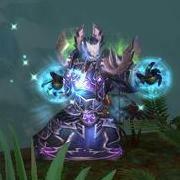 Additionally, we will be adding Heroic versions for all the remaining guides over the next couple of weeks.